Dozens of people from a rural New Brunswick community were set to return home Sunday night as authorities in many parts of Atlantic Canada worked to clean up the aftermath of a deluge that flooded basements, snapped power lines, wreaked what one official estimates to be millions of dollars of damage and stranded a man and his dog on a washed-out road. Much of the East Coast was doused in heavy rains on Saturday amid unseasonably warm temperatures that melted a significant amount of snow in many parts of the region. More than 100 people in the small southern New Brunswick community of Musquash were evacuated from their homes Saturday night due to concerns about the water level at the nearby East Branch dam, according to a spokesperson for the province's Emergency Measures Organization. Robert Duguay said provincial officials have inspected the dam and did not find signs of damage, and decided to lift the evacuation order at 8 p.m. on Sunday. Some areas of New Brunswick were deluged by more than 100 millimetres of rain since Saturday, causing localized flooding and water levels at the dam to rise to near capacity. Philip Melanson, deputy chief of the Musquash Fire and Rescue Department, said firefighters and RCMP officers began knocking on doors in the community at around 9 p.m. on Saturday, telling people to pack enough belongings for two days. Allie Murchison, disaster management co-ordinator with the Canadian Red Cross, said 87 residents were put up in a hotel in Saint John and the rest stayed with family and friends for the night. Town officials in Sussex advised residents on a few streets to evacuate their homes on Saturday, but Murchison said none of them showed up at a reception centre the Red Cross set up, so volunteers shut it down. 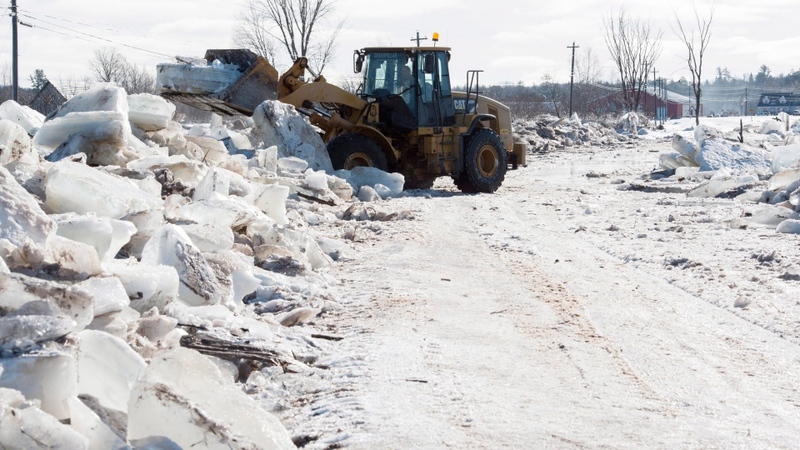 The New Brunswick government issued a press release Sunday afternoon asking residents who live near water to keep an eye out for ice movement, and warned drivers that while the downpour may have passed, the roads are still not safe in many areas. Provincial transportation officials rescued a man and his dog Sunday morning after they were washed off the road while travelling in a minivan near Hoyt, according to the release. New Brunswick Power reported that fewer than 1,000 people were affected by outages in the province early Sunday evening, down from nearly 10,000 the day before. Duguay said the utility hoped to restore power for the remaining customers later in the day. Meanwhile, in western Newfoundland, crews were working to repair infrastructure damage caused by heavy winds and severe flooding. Newfoundland and Labrador Hydro said a helicopter spotted a large tree that had knocked out a power line on the Northern Peninsula near Woody Point. The utility said restoration efforts were delayed because washed-out roads made it difficult to reach the trouble spot, so crews had to remove the tree by hand. But by Sunday afternoon power had been restored to the surrounding communities. Four Newfoundland towns declared states of emergency on Saturday, one of which has since lifted the order. Officials in Corner Brook said that although water levels no longer constituted an emergency, residents should continue to stay away from bodies of water. Mayor Jim Parsons said the city has suffered millions of dollars of damages, including a flood at the local public works depot, which has hampered repair efforts. There have been several reports of homes with flooded basements, said Parsons, and the back wall of a local business was destroyed by a landslide. 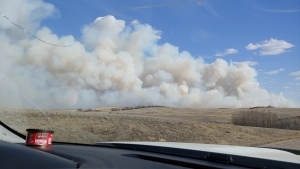 "We did evacuate a couple people just in case their water levels rose in a couple of areas, but everyone is pretty resilient here, and they roll with the punches," Parsons said. Humber Arm South, Lark Harbour and York Harbour on Newfoundland's Bay of Islands were still under states of emergency on Sunday evening as crews worked on repairs. Newfoundland and Labrador's Municipal Affairs department said on Sunday boil water advisories for communities affected by flooding on the province's west coast will remain in place until the situation returns to normal.